It’s no mystery that reasons one and two for moving to SoCal were the weather. Fed up with cold and gray, I was starved for warmth and color. I soon discovered that winter does get chilly here, but that’s when the landscape heats up. 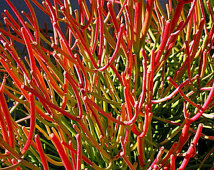 Firesticks (Euphorbia Tirucalli) change from green to pinkish or orange or flaming red. 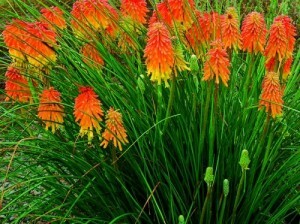 In December, red hot pokers (Kniphofia) send up their eponymous burning orange and yellow spikes. But nothing prepared me for Huntington Gardens. Specifically, the desert garden. Don’t get me wrong, Gainsborough and William Blake are nice, but they can’t hold a candle to a forest of Aloes blazing against the backdrop of the San Gabriel Mountains in January–a feast for the eyes as well as the tiny tummies of a billion buzzing hummingbirds–all furiously fighting each other, as if there is not enough for everyone. 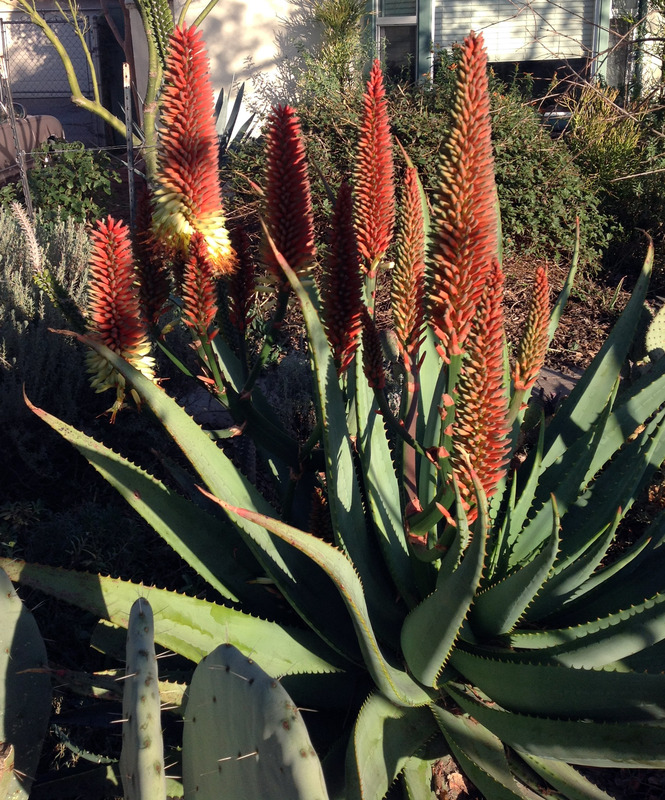 Aloes (like me) hate frost; therefore, the forest is planted with heaters like the ones at outdoor cafes. I’m sure this enhances the dining experience for the hummers as well. 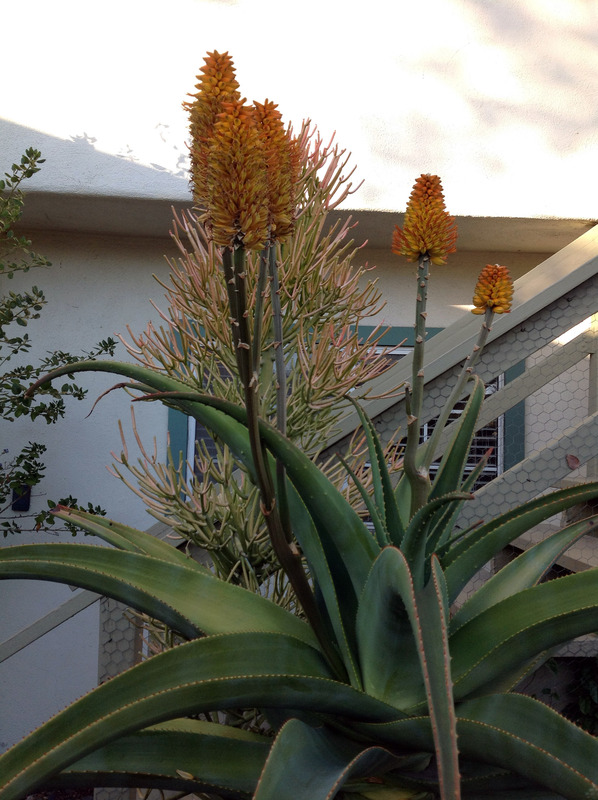 As soon as I had a garden of my own, I lit up my winter landscape by planting and propagating firesticks and giant aloes, blooming now, and a smaller yellow aloe that blooms in the spring. I display artwork in my fireplace inside my house and watch the bonfire outside my living room window replete with irate hummingbirds.